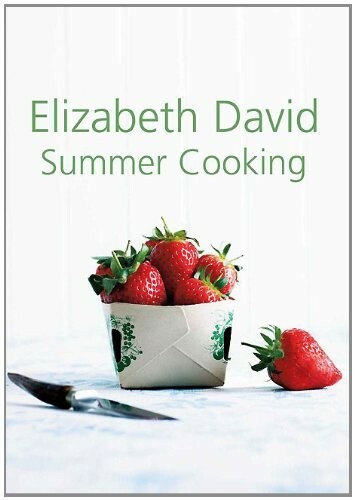 For Elizabeth David, summer fare meant fresh, seasonal food-recipes that could be prepared quickly and savoured slowly, from Gnocchi alla Genovese ('simply an excuse for eating pesto') to La Poule au Pot to Gooseberry Fool. Her 1955 classic work, now reissued in a handsome, attractively priced hardback edition, includes an overview of herbs as well as chapters on impromptu cooking for holidays and picnics. Divided into chapters on Soups, Salads, Eggs, Fish, Meat, Poultry and Game, Vegetables, and Sweets, it contains recipes from all over the world. "Summer Cooking" is a witty, precise companion for feasting in the warmer months - every bit as unexpected and enchanting to read today as it was 50 years ago. But the purest thrill of "Summer Cooking", as in all of her books, is the pleasure her food delivers and the graceful way her prose captures the reader's delight.